Ensure that safety comes first with the Globber Protective Pad Set. The set comes complete with 2 wrist guards, 2 knee pads and 2 elbow pads. All parts are fully adjustable and easy to slip on for safe, comfortable scooter use. Available in 2 sizes and 2 fantastic colours. 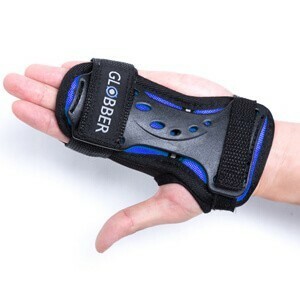 The Globber wrist pads act like protective gloves, keeping palms, wrists and the tops of hands free from cuts and grazes. The flexible tough plastic spine ensures that the Velcro straps remain tight and secure, and doubles-up as a protective armour plate. 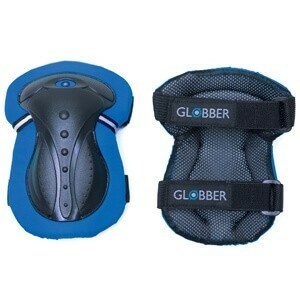 The Globber elbow pads give essential padding to elbows with thick cushioning on the inside and a hard plastic shell on the outside. 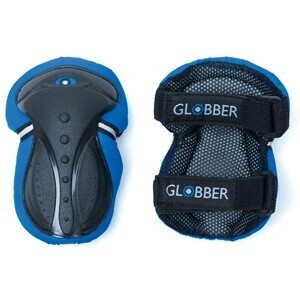 Thick padded Velcro straps ensure a secure, comfortable fit. 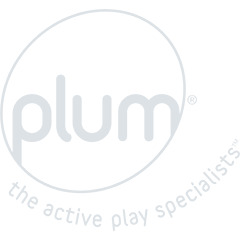 Like the elbow pads only bigger, the knee pads have a thick cushion layer on the inside and a tough, light-weight plastic shell on the outside, preventing cut or grazed knees.